These 5 mm sparkling red LEDs are great for your new projects and for prototyping. With this pack, you'll never be short of LEDs. 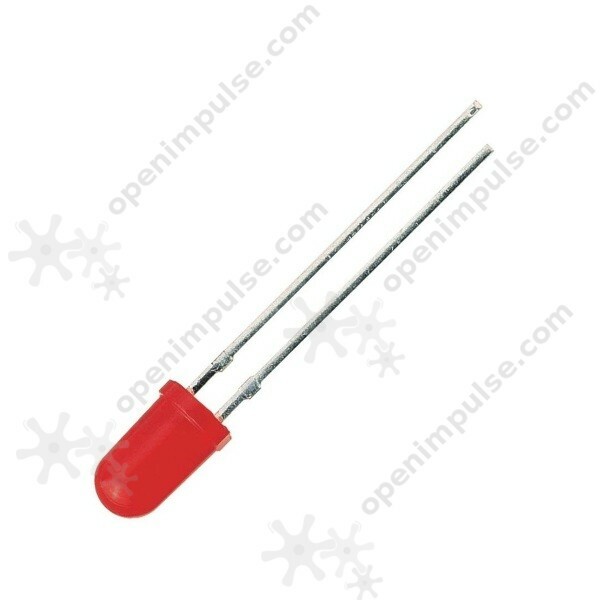 These 5 mm red LEDs are what you need if you want to have a catchy project with tiny lights. It is commonly used for miniature timers, road stop signs and more. Its diffused lens gives a wider viewing angle of the light. LEDs are semiconductor devices that emit light when current is being transmitted. LEDs do not allow current to flow if they are fed back. Fit correctly, they open (allow the current to pass and light, the intensity of the light being proportional to the current) after the voltage at the terminals has exceeded a certain threshold value. The opening threshold depends on the color of the LED, increasing from red (about 2.1 - 2.4 volts) to blue / white (about 3.2 - 3.8 volts).